We offer a "New & Dynamic Generation" of crochet crafting accentuating an Inspirational "Realistic & Lifelike" theme for crochet motifs available "EXCLUSIVELY" from MyCrochet.com. Capture the inspirational essence of these beautiful designs for your crochet collection! Experience a revitalization of crochet crafting excitement with these motivating Inspirational Crochet Patterns. This fantastic opportunity is only available if you act Now! “New” Products Exclusively From MyCrochet.com! Canvas Prints & “Frame-Less” Pictures! Hurry... Make Your Order Today! 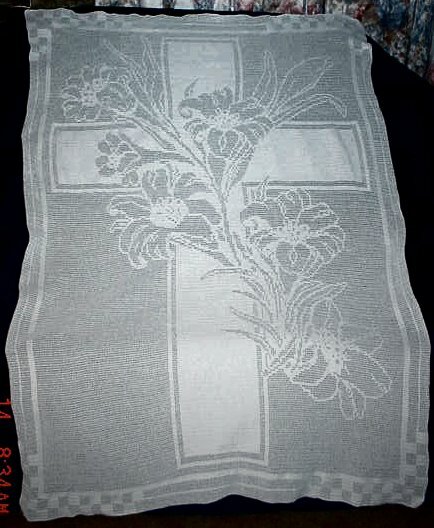 We Invite You to Explore ALL of our Inspirational Throws, Photo Gifts and Merchandise Galleries! 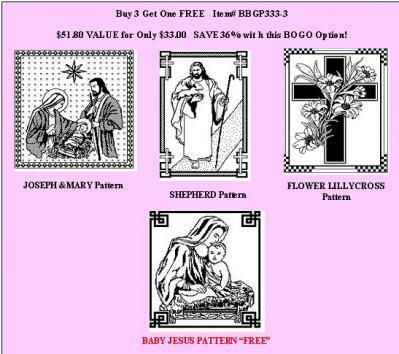 Fantastic Selections...a Gift Idea for everyone! 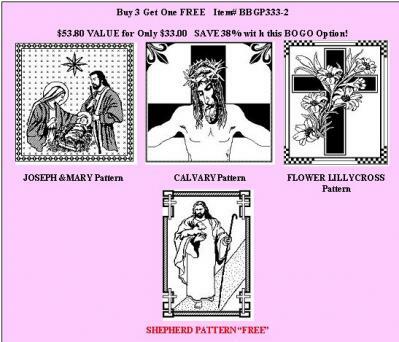 Attention Crochet Crafters...Limited Time Offer...Save 20% on Our Calvary, FlowerLilly Cross and Christ Crochet Pattern Kits! Be Sure to Explore Our Inspirational and Merchandise Gift Galleries you just might find that one-of-a-kind item you've been looking for... At MyCrochet.com our gift galleries offer you a unique variety & elegant assortment of fashionable high-impact gifts...from Crochet to numerous selections and exclusive designs for Photogifts only available at MyCrochet.com. We offer alittle something for everybody at extremely affordable prices. Allow MyCrochet.com to be your reason for the gift giving season! Make Your Order Today! Make your "Crafting Statement" in the World of Crochet! At MyCrochet.com we provide you with the opportunity to make that "Crafting Statement" become a reality! 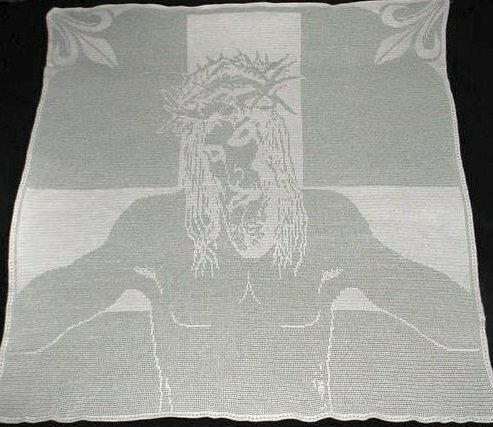 As a crochet enthusiast you will experience a revitalization of crochet crafting excitement with these motivating Inspirational-Religious-Christian-Symbolic and Holiday Theme Filet Crochet Patterns and Inspirational Throws. Allow MyCrochet.com to provide you with an "Innovative, Refreshing & Inspiring" creative crochet challenge! Order today and capture the inspirational essence of these beautiful crafting designs for your crochet collection! "Our Lady Guadalupe Throws & Fleece Throws Available NOW..."
Our Beautiful Inspirational Guadalupe Throws Make Great Gifts! 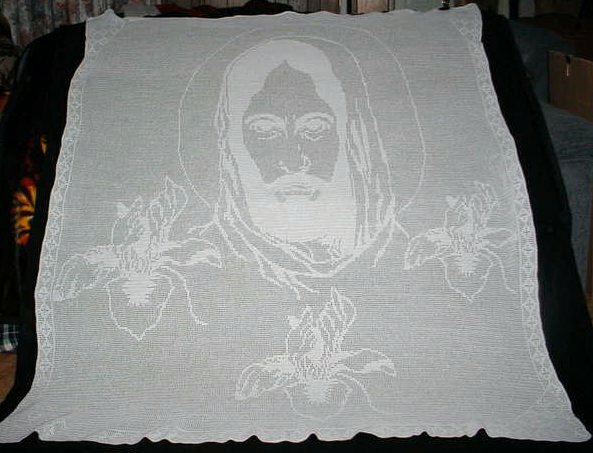 Order your Guadalupe Throw Today!! "Limited time offer--Save 10% On Our Inspirational Color & Fleece Throws... "
SAVE $$ 10% on Our Beautiful Inspirational Color & FLEECE Throws... Order TODAY...This is a Limited Offer! At MyCrochet.com our inspirational gift galleries offer you an elegant assortment of fashionable high-impact gifts at extremely affordable prices. MyCrochet.com provides you with a calming sincerity allowing you to give a beautiful gift with meaning and save money doing it! Allow MyCrochet.com to be your reason for the gift giving season! 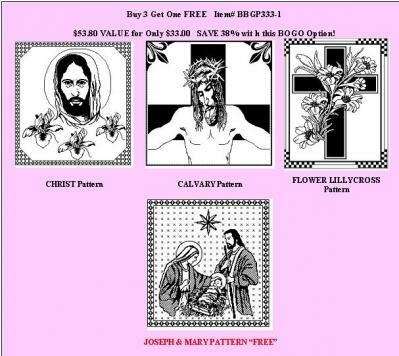 We are proud to offer you an opportunity to make a wonderful crafting statement with our "Lifelike" Inspirational-Religious-Christian-Symbolic and Holiday Theme Filet Crochet Patterns & Inspirational Throws”.